Earlier RTI filing was too much pain, because it was very much time-consuming as it was an offline process. A form was to be filled and then a Rs 10 stamp was to be attached and the entire form had to be sent by post to the required department of the government. The form took approximately 3 to 4 days to reach the concerned department. So many people who wanted to file RTI refrained from doing it. 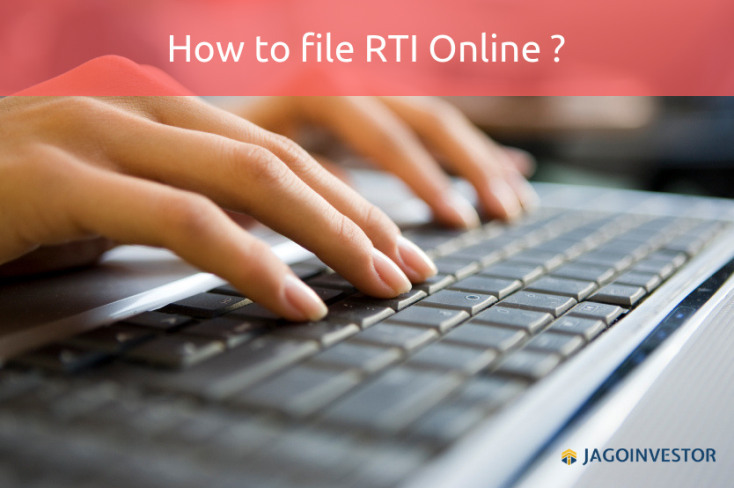 However now filling RTI is just a click away because we can file it online. I will tell you 4 SIMPLE and EASY steps to file RTI ONLINE without any hassle. But before that, let me explain to you in brief what is an RTI act. The Right to Information Act 2005 commonly known as RTI is a law using which an Indian citizen can request for information from state or central government departments and offices. And such a request should be processed in a timely way as mandated by the RTI Act. 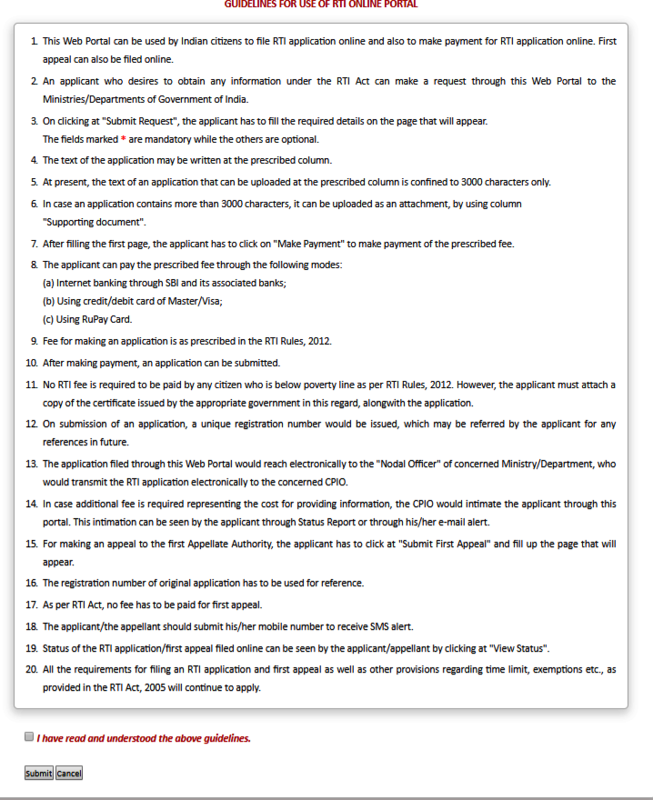 Let me now share what steps you should take to file RTI form online. 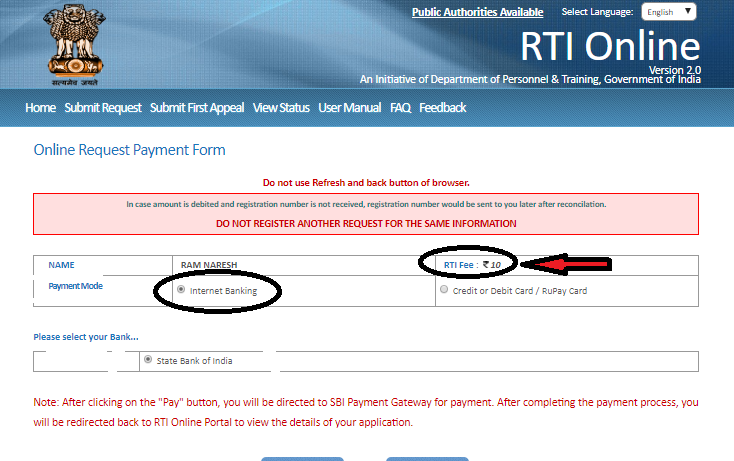 To create a login, visit RTI website and click on sign up option. If you do not want to create login then continue as a guest (by directly clicking to submit request button). To make it simpler I have attached the screenshot of the login page. When we log in or even directly click on “submit request”, then the below image will appear and you just have to tick on “I have read and understood the guideline and click on submit button”. Below is a snapshot! 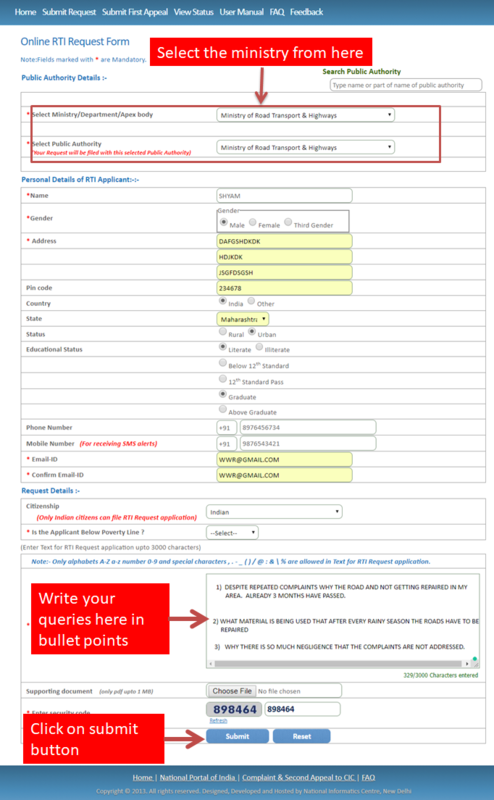 The next step is to fill the main RTI form, you can access it directly by clicking here. Filling an RTI form is a bit tricky. There are lots of things you should take care. There are dozens of govt departments and ministries which handle a different kind of work. So it’s important to know which department or ministry handles your RTI form. Whatever is your complaint, it is important to write to the point and not hit around the bushes and also to write in bullet points because it will be very easy and eye-catching for the RTI OFFICER to understand your query and reply you even faster. Let me make it easier for you by giving an example. CASE STUDY – Mr. Shyam wants to file RTI for reasons for delay in roads repairs. After the rainy season was over, Shyam noticed that the road was not at all in good shape. He also noticed that there were frequent accidents on that road and many people were losing their precious lives. He complained to the authorities, but no actions were taken and 3 months had already passed. Shyam finally decided to file an RTI to know what is the reason behind so much delay. If you are not sure which ministry you should choose while filing the RTI, then just Google search about it, and most probably you will find that information. Once you have made the payment click on to the submit your application. A unique registration number is generated. (please save it for future reference). Now, wait and watch for a maximum of 30 days and you will mostly get a reply for your query. Note that the facility of filing online RTI is available only for central govt departments and ministries. 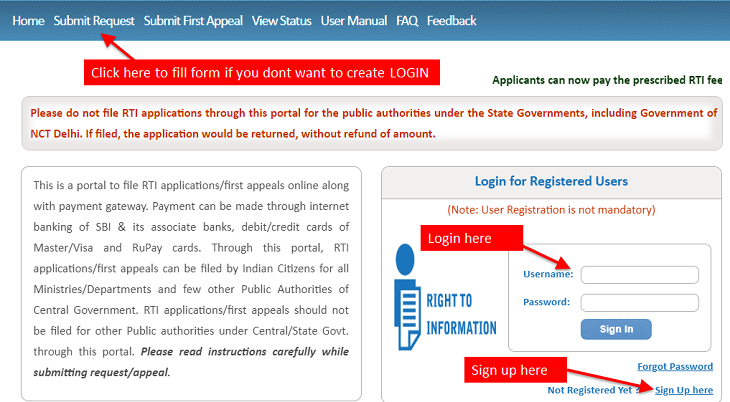 You can’t file RTI for State govt departments through this online portal. For that, you should follow the offline process of RTI only. I hope this article has taught you about filing RTI online and answered most of your basic queries. Please feel free to ask any questions in the comments section below. Thanks for your comment Pren Aggarwal .. Please keep sharing your views like this. Pls mention the URL or the website address to file an RTI online. I did not find it in your article. I have already linked to the website in the article, please have a look once more ..